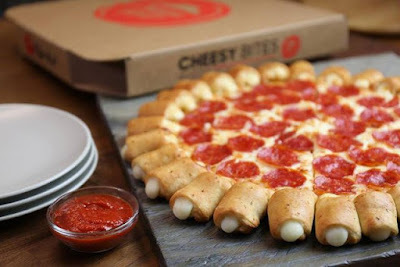 The Cheesy Bites Pizza is back at Pizza Hut for a limited time. The pizza features a crust lined with 28 cheese-filled bites that are easily detached to pop in your mouth. Prices may vary but my local Pizza Hut restaurant has a 1-topping Cheese Bites Pizza for $13.99. You can check out my review of the returning pizza here.